We’ve already discussed the benefits of tile roofing in our blog before. Tile roofs are not only beautiful architectural elements, but they are also incredibly durable and require low maintenance. Whether you are considering installing a tile roof for the first time or you’re interested in replacing an aging roof, it’s important to consider both form and function. Additionally, tile roofing is available in a variety of shapes, colors, and sizes — concrete roofing tiles can even be manufactured to replicate high-end roofing materials, such as authentic clay, slate, and wooden shake roofing tiles. At Express Roofing, we are one of the best tile roofing contractors in Phoenix, Scottsdale, Mesa, and the surrounding areas. 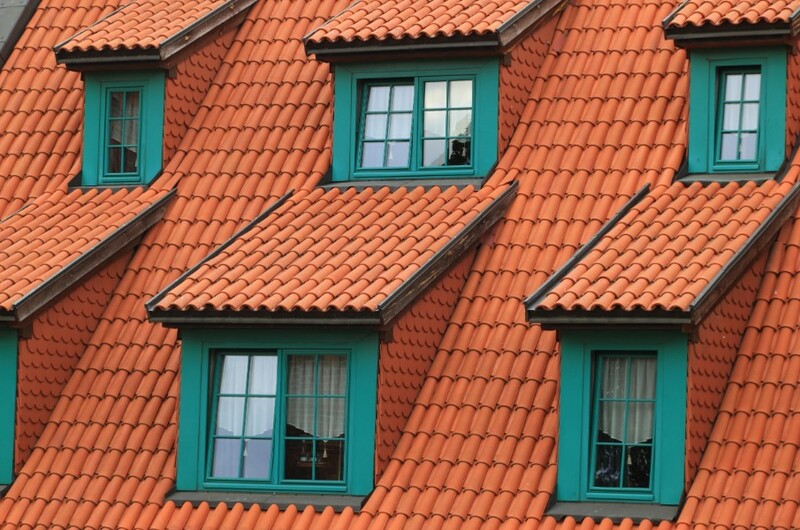 Let’s take a look at some of the most common patterns or styles of tile roofing. Spanish tile has been an architectural favorite for centuries. In Spain, tiles had been used for hundreds of years in the construction of palaces, cathedrals, and other elegant places to create artistic and dynamic looks on walls, roofs, floors and more. In more modern history, the Spanish-style tile roofing earned its place among contemporary builders. The single barrel design delivers a beautiful multidimensional look to your roof. This stunning old world look also complements any building style. At Express Roofing, we offer a selection of roofing tiles with a high barrel profile that is beautiful, enduring, and creates that authentic Spanish look. Mission style roof tiles provide an old world aesthetic with an increased lifespan. Complete with high profile barrels, these roofs create dramatic shadows that make a statement in the changing sunlight. At Express Roofing, we carry Boral High Barrel Mission concrete roof tiles for those who have always wanted your home to match the authentic and beautiful rooftops of Italy, Spain, and France. Flat tile roofing, or French style tiles, aren’t seen as often in Arizona as other tile roofing styles but they are among the most dimensional of roofing products available. Although they are dimensional like the Mission style tiles, they do not require eaves closures due to the shape of the tile having a natural closure on each one. They are popular for their crisp and clean appearance that complements modern and traditional homes. Mostly all flat roofing tiles are interlocking, which means the tiles hold onto the ones next to it to create a strong and durable roof. These are just a few of the different available styles of tile roofing that can be applied to your home. No matter the architectural styling of your home, a tile roof pattern will complement it. At Express Roofing, we install roofing tiles from Boral Roofing and Eagle Roofing, so you can rest assured that you are getting the best roofing materials available for your investment. If you would like to learn more about your options when it comes to tile roofing in Phoenix, Mesa, Scottsdale, and surrounding areas, we encourage you to contact our roofing company today!